Artist Foster Isaac stands next to his mural of the Scarlet Ibis on a wall in Calder Hall. 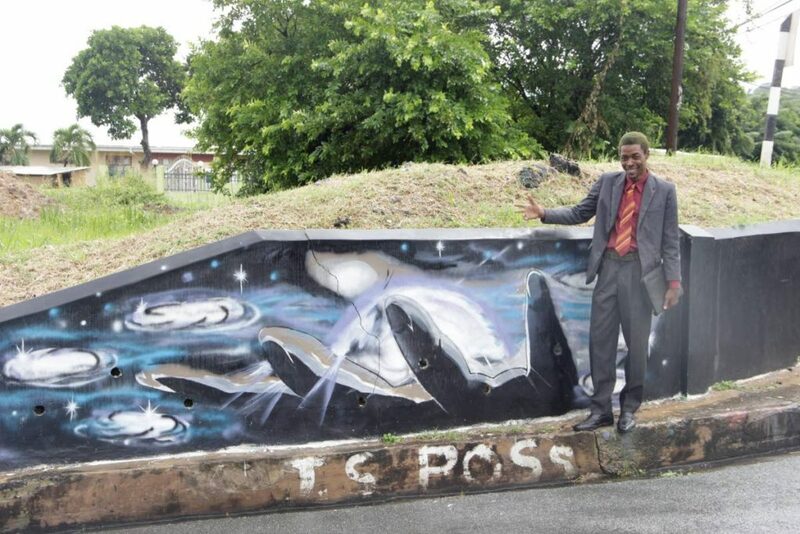 Artist Foster Isaac wants to paint Tobago’s history on the walls of the island’s villages and excite the youth into learning about culture and heritage. Isaac also sees his murals as a point of interest for tourists and a boost for tourism. He also sees his murals as a talking point for locals and foreigners who are interested in the significance of a country’s art, saying this could be especially relevant for tourism if it was promoted in combination with information booths or knowledgeable persons who would explain the significance of the artwork. Artist Foster Isaac stands next to a mural showing his interpretation of the galaxy. “Sometimes, even painting persons who were pivotal in the nation’s history for example, Trinidad and Tobago’s first Prime Minister Dr Eric Williams can be used to educate the children about the country’s founding fathers. This knowledge will be passed on to their children that is why murals are important,” he said. Isaac, 30, a resident of St Cecelia and the owner of a two-year old online business, “Fosterific art studio”, said his lifelong passion for art started at the age of five when he developed an interest in creating comics and sketches. A self-taught artist who got help from an aunt with his supplies, his love for art increased when he entered Bishops High School. “Painting murals is something that you have to love to do it well. A mural can take from five hours to three days, it all depends on the detail depicted in the mural. Some paintings you actually need to hype up yourself and listen to a little music to lift your spirits and get yourself zoned into completing the task. 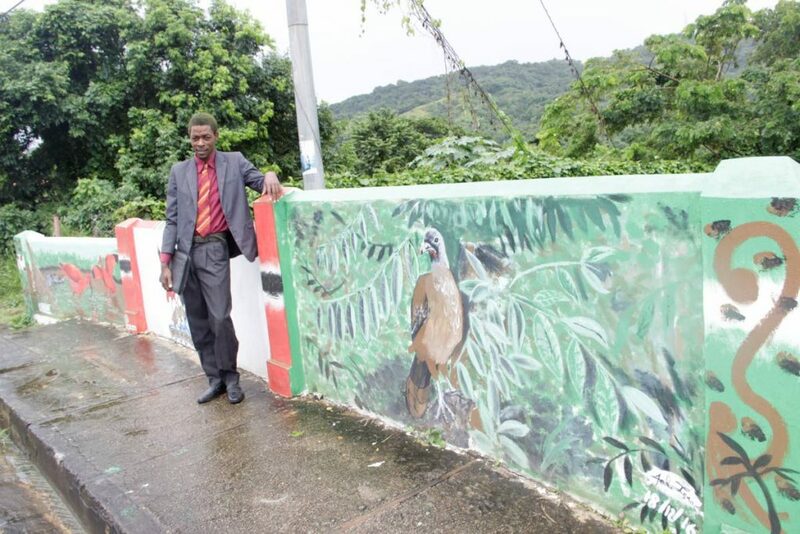 Artist Foster Isaac poses for a photo next to his mural of Tobagos national bird, the Cocrico, on a wall in Calder Hall. “Many persons think that it is something simple to do but it is not, especially for the artwork which requires symmetry. In most cases we do not use levels or tools, it takes a serious level of concentration. A true artist does not need to utilise measurements or tools because the work must go on without out it and it should not hinder you in anyway,” he said. 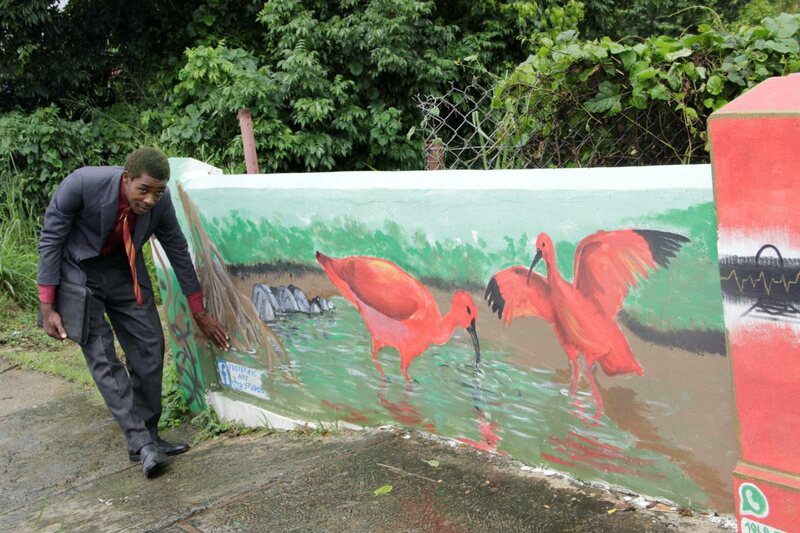 Reply to "Foster Isaac wants to paint Tobago history on village walls"